This townhouse in the quiet neighborhood of La Perle is conveniently located with easy access the Anthony Henday, West Edmonton Mall, schools and more! With two energized parking stalls in front of the unit, you'll never be scrambling for a place to park!Inside the large unit you will find a half bath and a spacious kitchen, with updated stainless steel appliances! Including fridge, stove and even a dishwasher! There is plenty of counter and cupboard space making the kitchen easy to use! Both the kitchen and the dining room have upgrade vinyl plank flooring, making cleaning a breeze! The dining room area leads into the carpeted living room. The spacious living room leads out to the fenced backyard, which means the large glass doors provide tons of natural light into the home. As you head upstairs you will find a unique closet space with a large wood plank counter top, perfect for folding laundry! There are three large bedrooms, each complete with their own closet and lamp. There is also a full bath with a tub shower on the floor. Downstairs there is a large great/family room, full carpeted and finished. Shared with the furnace is a large laundry room, complete with updated washer and dryer! Don't miss out on this townhouse! 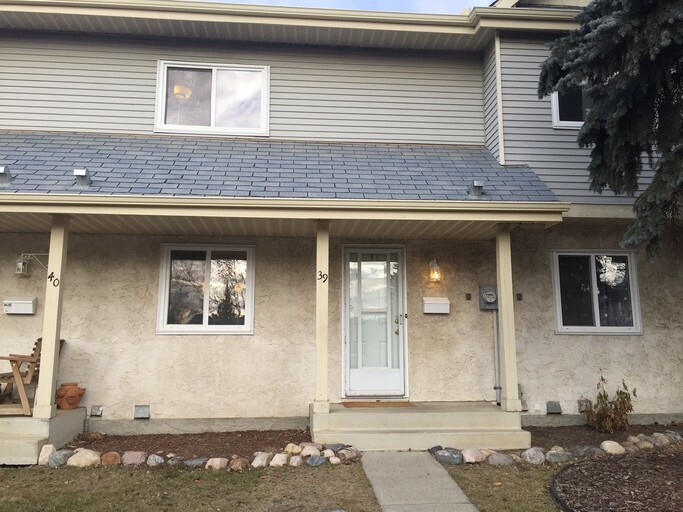 Call today to book a viewing 780 701 7400.